Barely four years ago architectural collective Assemble scooped the Turner prize by blurring the boundaries between Art and Architecture. In that time they have developed a cohesive style and output defined by reuse, experimentation and a fresh take on conventional manufacturing practices that has resulted in radical new forms. 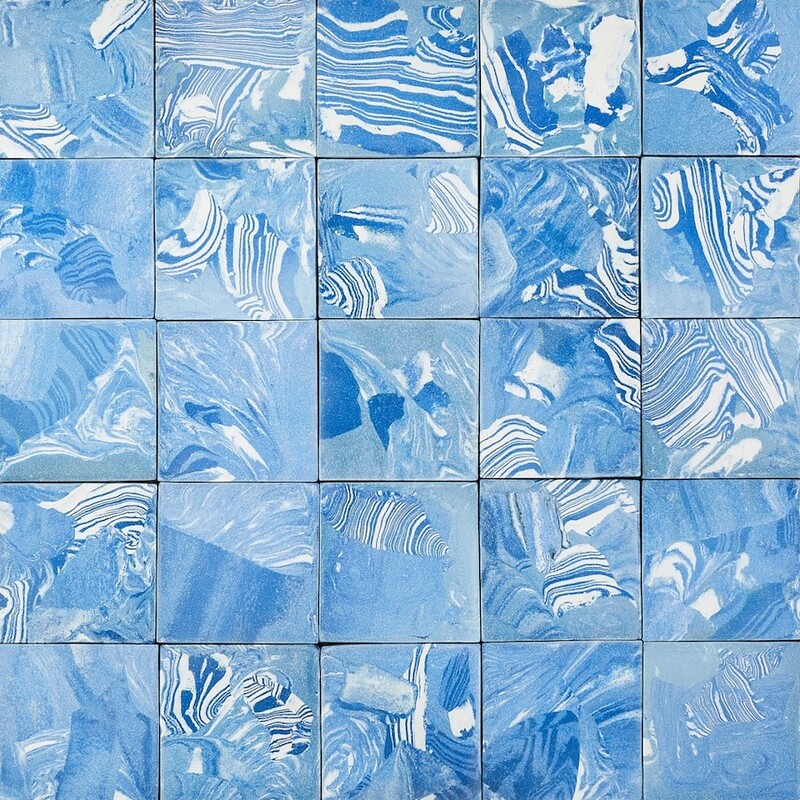 Just last year Assemble produced a range of clay tiles that dazzled at the Venice Biennale. Originally launched at the London Design Festival, the marble-patterned encaustic tiles are produced using the traditional method whereby the colours belong to the naturally occurring elements within the clays used rather than being stained with surface-applied ink dyes. The team is no stranger to recycling. These tiles were produced in their community-led Granby Workshop, a long term project that Assemble hopes will contribute to the regeneration of a small section of Toxteth, Liverpool. Their team – all trained by Assemble – often work with materials such as wood off-cuts, brick, slate and stone sourced from the disused and derelict terraced houses within their local neighbourhood. It has long been the LASSCO belief that architectural reclamation is a process that should continue forever, without limit. 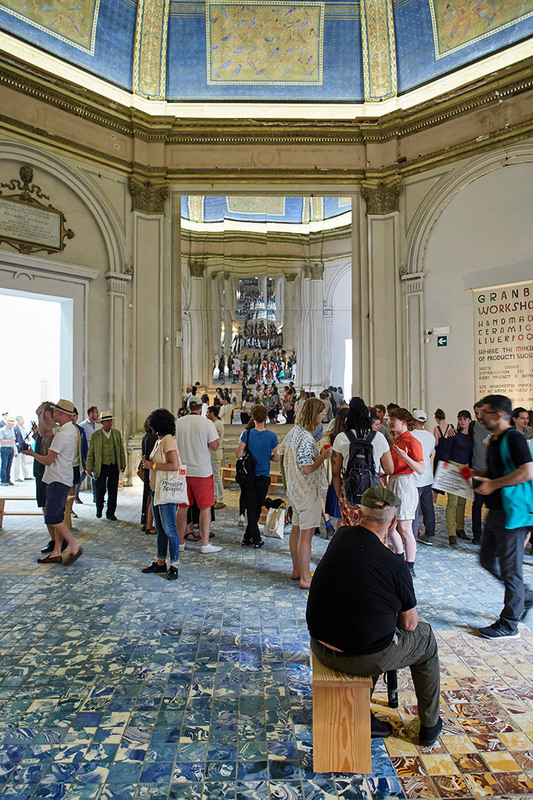 So being mindful that we are all merely stewards of our own architectural heritage and in the spirit of ‘re-use ad infinitum’, when we were offered the chance to reclaim the tiles that had been used in Assemble’s Venice Biennale installation – we leapt at it. 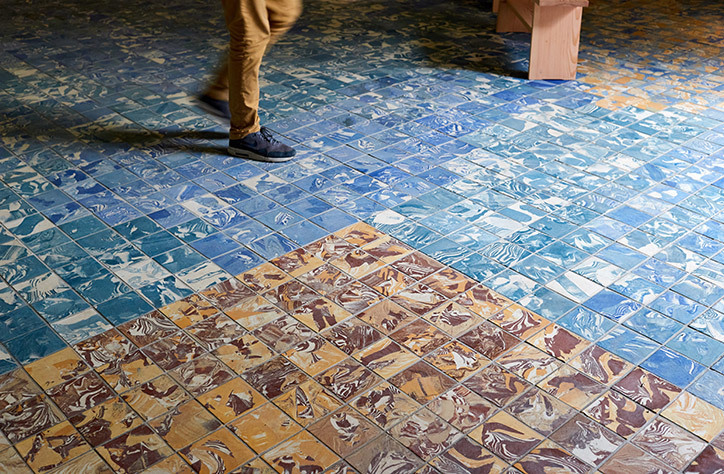 Avoid the long lead times, your ex-Venice Biennale ‘Factory Floor’ tiles by Assemble’s Granby Workshop are available at LASSCO Ropewalk and ready for immediate dispatch.